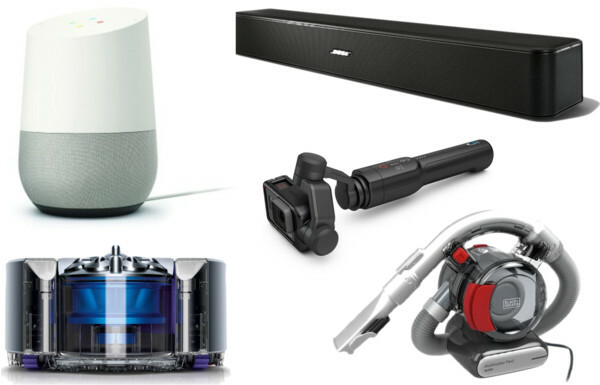 I've done a few wishlist posts before and it's no secret that I'm into my tech, which also means I'll spend time looking through websites eyeing up the items I'd to own one day. Some of them are more realistic than others, but that's the point of a wishlist right? There's something cool about having a vacuum automatically clean up after you while you're out at work. It's one of those household chores that can take up so much of your time so having something that does it for you would be ideal. I think having one of these would make your house cleaner than doing it yourself as you could have it doing a quick clean every day to give a fresh, dirt-free house. It's got a 360-degree vision system to make sure it never misses a spot and you can schedule when you want it to clean from your smartphone via the Dyson Link app. I've got a few GoPro bits already and I'm always looking for ways to improve the footage I can produce. Having stable video is one of the key points that can really help the quality of content, and with the Karma Grip, it gives you professional looking footage which is down to the stabilising gimbal. It has built-in camera controls to allow you to make adjustments while filming so you can get the shot just how you want. Another great feature of the grip is that it can be body mounted meaning your clips will always look amazing, wherever you are filming from. TV quality has improved so much over the past years with 4K becoming much more readily available and affordable recently. Although the visuals look great, the sound from the built-in speakers still doesn't match up. This is particularly noticeable when watching your favourite show or a film as you don't get the full experience. Sound bars are an ideal way to boost the audio for your TV without needing loads of space for a multi-speaker setup. This Bose one connects to your TV via an optical cable and has Bluetooth to allow you to wireless play music on a high-quality speaker. I always like to have my car clean both inside and out so having a suitable vacuum comes in very handy. I currently just use a standard vacuum cleaner which is okay for doing the main parts but not for the more intricate bits. The Black & Decker vacuum is a compact handheld vacuum cleaner that would be perfect for getting into those awkward spaces in the car. It would also be great to clean around the console area thanks to the soft brush attachment. Smart speakers are the new thing and I've been taken in by the hype. You can do a number of cool things with these, from playing and controlling your favourite music, to getting answers to questions all by using your voice. It uses it's own Google Assistant to help you with everyday things as well as controlling the other smart tech in your house. I've always been someone to use my phone for lists and keeping track of my calendar, so having a device that helps you to do this with minimal effort would come in very useful. You can check out my other tech wishlist here. 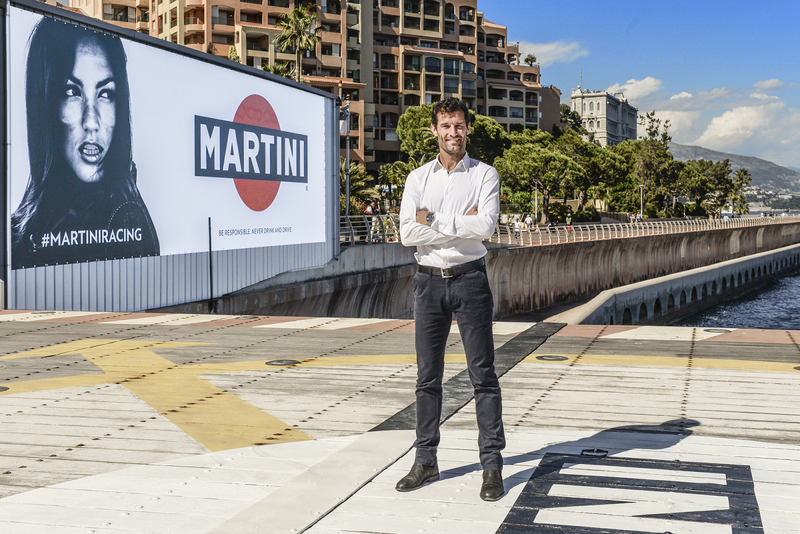 The F1 Martini Racing Advert Is Back at Monaco! I've always enjoyed watching the F1 as it's a great competitive sport that has some really exciting and tense moments. Over all the years of watching it, I'd have to say Monaco is my favourite track due to the tight twists and turns that come with the street race track. Alongside this is the amazing setting that hosts the track with the luxury housing and spectacular harbour full of hundreds of superyachts, it would be a dream to visit there one day. When I first started watching it I didn't realise how much skill it took to race in the F1. When you think about how fast they fly around the corners while battling with other drivers to get that top spot, it's not surprising you have to be at the top of your game. If you couple this with the amount of time they spend in their cars during the race, racing for well over an hour straight requires a lot more effort than cruising down the motorway. 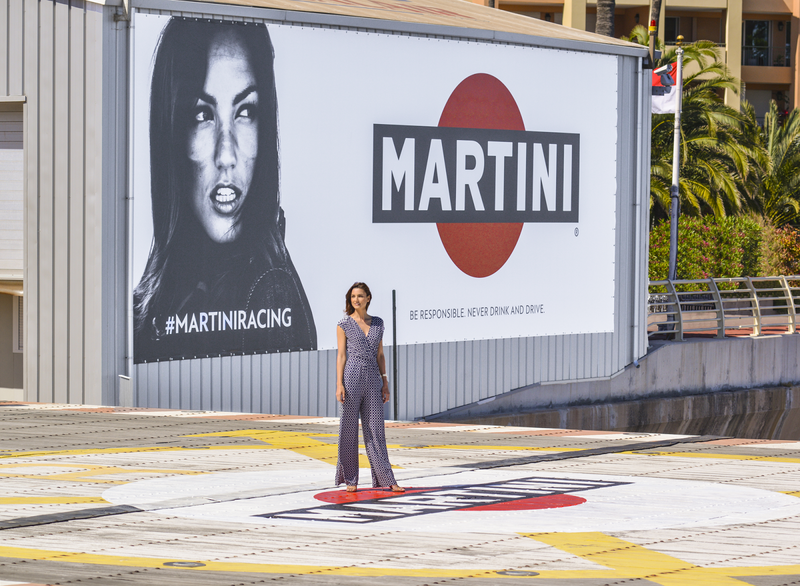 The Monaco Grand Prix is probably one of the most demanding courses where you need all of your concentration, so the Martini ad featuring model Jessiqa Pace that was located close to the tricky Loews hairpin didn't help the drivers. Back in 2009, it was a race to remember when Lewis Hamilton spun out right next to the board during qualifying, with Williams Martini Racing driver Felipe Massa getting sidetracked every time he went past it. Luckily for Jenson Button, he stayed in control and went on to win the race. This weekend the Martini board returns, although not in the same distracting position. Anyone flying in via helicopter will be greeted with the model's picture at the busiest heliport in Monaco. If you want to see what the drivers had to say about the advert then check out the video below. Cameras have evolved so much over time to adapt to consumers needs and changing lifestyles. More and more people want to be able to document what they are doing and don't want to be limited by the capability of the camera. This resulted in action and sports cams being developed to allow people to capture footage even in the most extreme conditions. A number of different cameras are now available on the market at different price points. 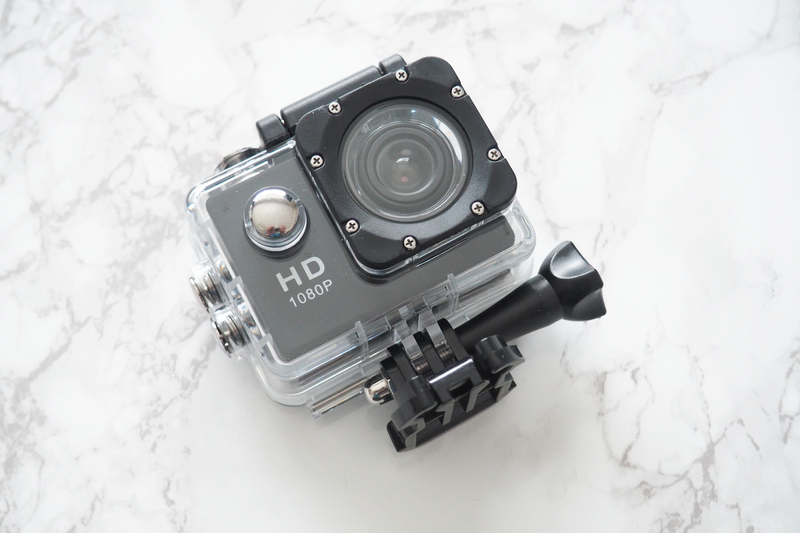 This Sports Cam from Didobuy is an budget entry at £13.99* which seems a very good price for this type of camera. 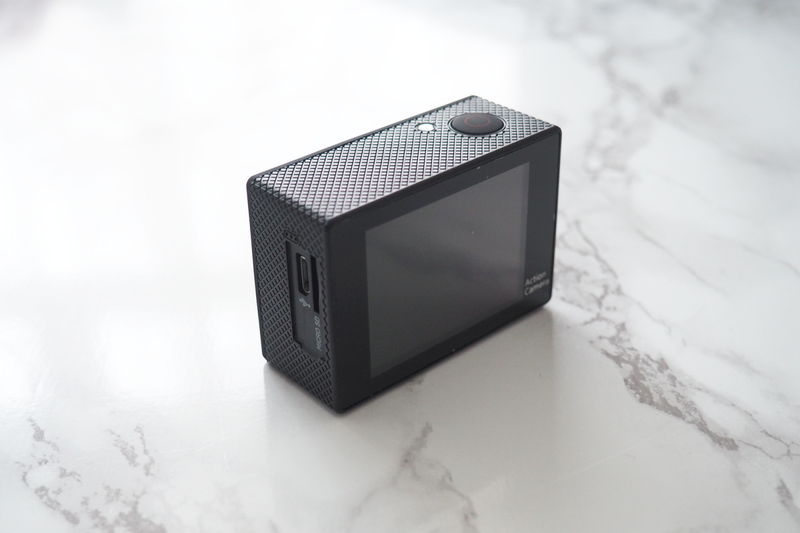 The camera is lightweight and compact to make it less obstructive when recording your activities. It does feel quite a cheap plastic but for the price I wouldn't expect it to be anything different. 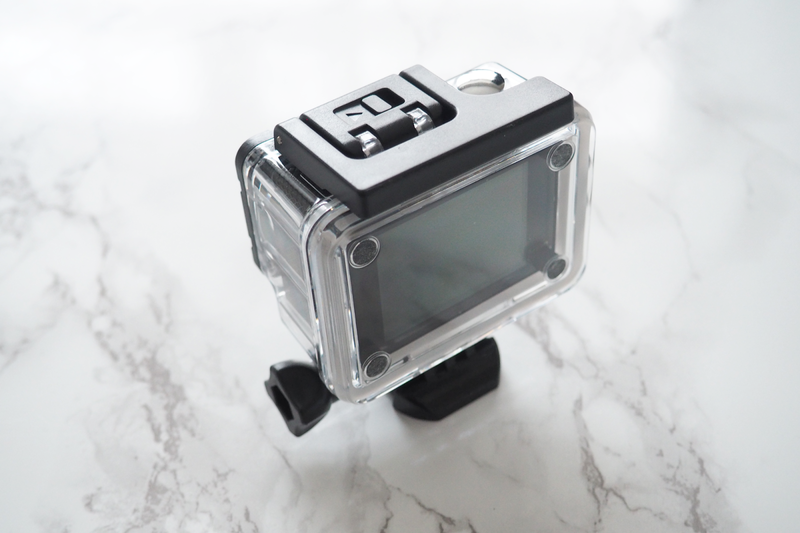 It has a 2-inch LCD screen on the back to allow you to frame your shots and the clear plastic case makes it waterproof to 30 metres. It takes a micro SDHC card, however this isn't included. I think this camera could work even better if they bundled in a memory card for around £20 as it would still be great value. To charge, you just need to plug the micro USB cable into a USB wall plug or a laptop/computer and once fully charged it should last for around 1.5 hours. I find the battery life will vary depending on how you are using the camera. I was impressed with the number of mounts and accessories that came with the camera. There is a good range that should be more than enough to get your started. 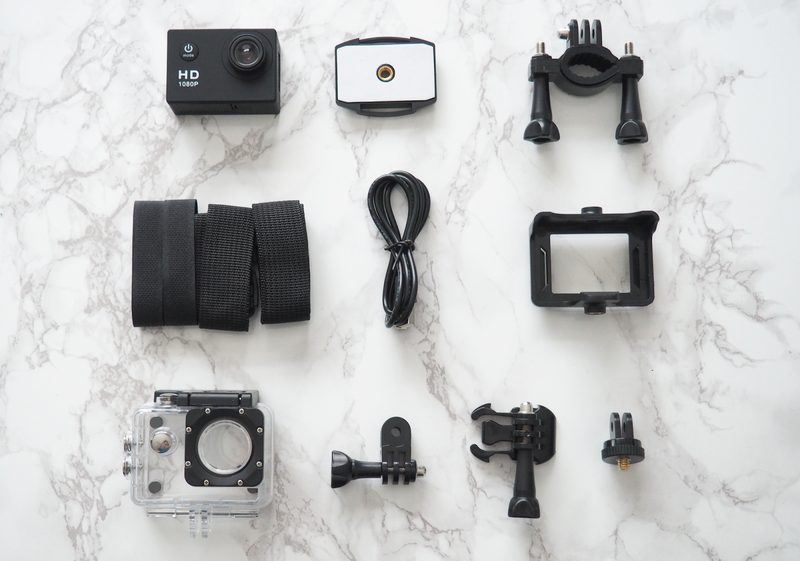 Many of these mounts will be compatible with third party accessories such as head and chest mounts should you want to use your sports cam for body mounted footage. As I already mentioned there is a waterproof casing which feels fairly solid, with a full range of external push buttons to control the camera. The only comment I would make is that it's a little fiddly to open this case, however this should mean it wouldn't pop open too easily. A less obtrusive mount allows for a lower profile mounting, however these should only be used in clean and dry situations. Other attachments include mounts for a handle bar/pole, tripod and helmets, with a few additional accessories to be able to make mounting easier. You can see everything from the box below. 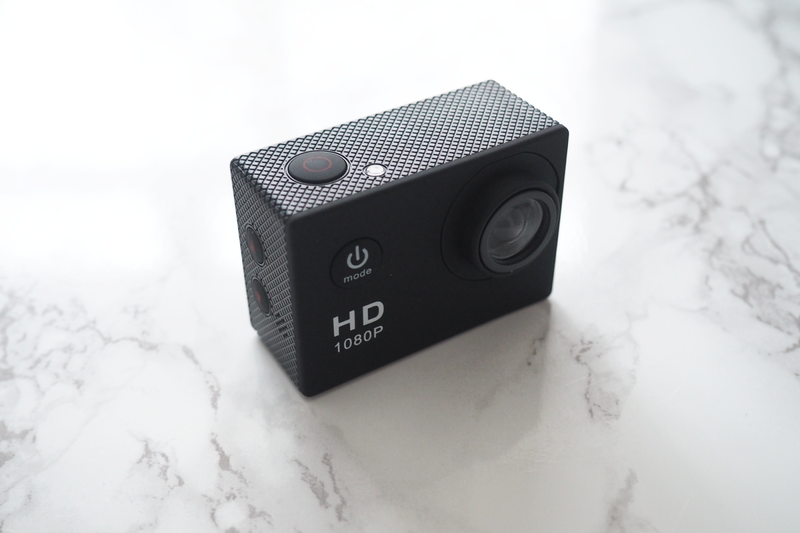 You can record in either 1080p Full HD at 15fps or 720p HD at 30fps depending on the type of thing you will be filming. Using a lower resolution with a higher frame rate will allow for smoother footage if you want to slow it down when editing for the 'slow-mo' look. The output quality is pretty good, and impressive when you think about how well-priced the camera is. If you were looking to capture what you get up to but don't fancy creating a cinematic masterpiece then this should be fine. It also has photo options including single shot, self-timer and continuous shooting. Overall I was impressive with what the Sports Cam had to offer. It comes with a good variety of accessories to allow you to mount it in a number of different ways. All you need to get going is the memory card and then you can head out and get filming. I think this camera would be perfect for someone who is just starting out and doesn't want to spend hundreds on a GoPro or something similar. To be honest, at £13.99 for a sports cam, you can't really go wrong. I always enjoy trying out new places to eat as it can get a little repetitive ending up in the same restaurant time after time. I recently went to Manchester for the day and went to The Pen and Pencil located in the Northern Quarter and was impressed with what was on offer. They have a good range of drinks with a small seating area at and around the bar if you just fancy popping in for a drink or two, whether this is for beer, cider, wine, spirits, cocktails or even a bit of champagne. The food menu contained a few familiar choices with plenty of extras to make the options that little bit different to a standard beef burger and chips. Choices include a range of meals with either brisket, chicken, pork, beef, fish as well as Aubergine and Halloumi if you wanted to a meat-free alternative. A decent list of brunch items, smoothies, and some desserts make up the rest of the menu. As you can see from the photo above I went for the mix of three sliders with fries, choosing halloumi, chicken and brisket from the selection available which also includes beef, fish and pork. The sliders are a good option if, like me, you can't decide what to go for because there are too many nice things on the menu. I've tried sliders in a few different places and I think I'd go as far as to say these were my favourite. The brisket had plenty of marinade and a great flavour, without any excess fat to it which can sometimes be an issue. My first thought when I picked up the halloumi one was that it would be a bit overwhelming as you got a fair chunk of it inside the bun, however, this wasn't the case. The texture combination of fresh bun with the halloumi actually worked really well. I also went for the chicken slider which has a surprisingly large piece of fried chicken wedged in the bun which had a great taste. I did try some of the beef slider that Laura couldn't finish and enjoyed this too as it was well cooked with just a little bit of colour still in the middle to retain some of the flavour, but this will depend on your personal preference for how you like your meat cooking. Even though the sliders were much smaller than a typical burger they are quite filling with generous portions of filling in each one, so don't feel like it won't be a sufficient as you'd be wrong. 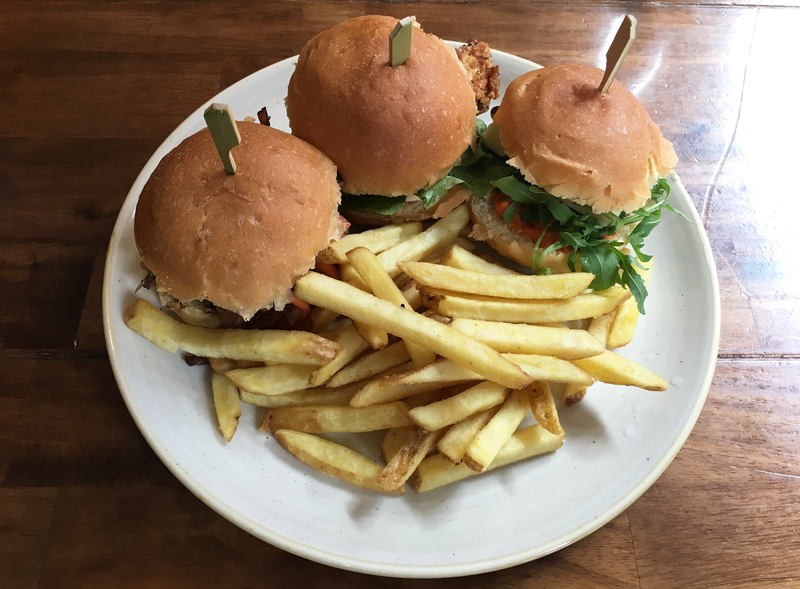 Given they were priced at £10.50 for the three sliders and fries it was definitely value for money. If you are looking for somewhere new to try out to eat or even an alternative to the bar you go to then I'd definitely recommend checking out The Pen and Pencil. I paid for this meal myself and have not been paid to review it. When running a business, you need to balance your income with your expenditure. Thinking about how you store your stock as a business can be a great way to help reduce the costs. I worked in a supermarket for around 6 years and some of this was in a warehouse so I've seen my fair share of what goes on. 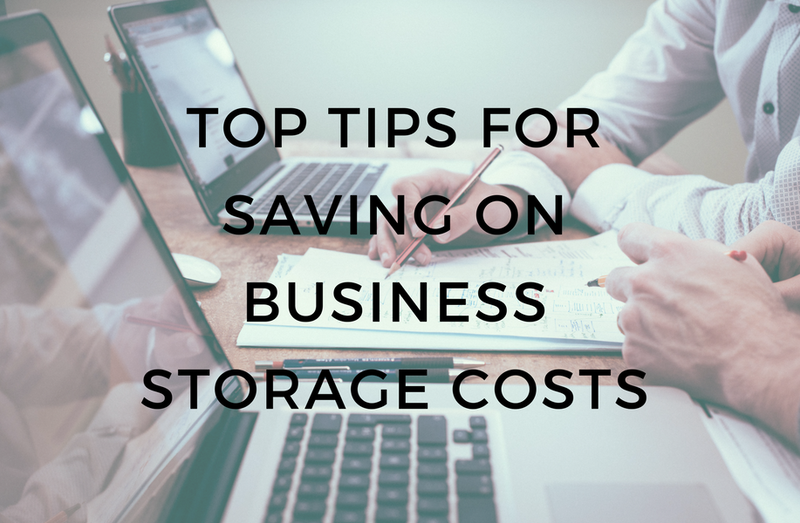 I've pulled together some top tips in this post to help you reduce your business storage costs. Custom made palettes and racks are a great way to lower extra costs and ensure you can have a smooth running of items. They give you an option to make the most of the workable space you have which is often going to be a much more cost-efficient way to utilise the space. It would also save you having to invest in additional floor space when you have it there already. For business in the North West, you can get price quotes for pallet racking in Manchester from Warehouse Storage Solutions. Using local business services is a quick and easy way to expand your warehouse space. The last thing you want to be doing is to spend time trawling through websites trying to find quotes or having to travel longer distances than you need when you just want to get on with running your business. Some companies may still prefer to organise documents on paper, and others are utilising technology to help them keep track. Having a logical order to your stock records is essential to make sure you find the information you need. It may also be important for multiple employees to search through your data depending on the size of your business, to find out stock levels, so having it well kept and easy to use will be key. Carrying out regular stock takes are so important to ensure you always know what stock you actually have. If you do them more often it will be able to flag up missing stock before it turns into a bigger problem. Another bonus of carrying out inventories is that you may find you have additional stock to what you thought, which means you don't have to order any more as soon which will help your cash flow and expenditure. You can get help with carrying out inventories from Canvas Applications to make the process easier. As a business, you don't want to have too much stock sitting on shelves that doesn't sell quick enough as you could have spent the money on something more pressing. Using signs in the different areas of your warehouse will make finding your stock quicker and easier. It may also be a good idea to record this location information within your stock records. This may be a time-consuming process to collect all of the location data, but it will be worth it in the long run. Think about IKEA, for the larger items you pick up a ticket with its location in the warehouse and can find the product within a matter of minutes as you have its exact spot readily available. Having this kind of process for regular warehouse activity will make the whole process much slicker. *This post is sponsored by Warehouse Storage Solutions Limited, however, all opinions are my own. 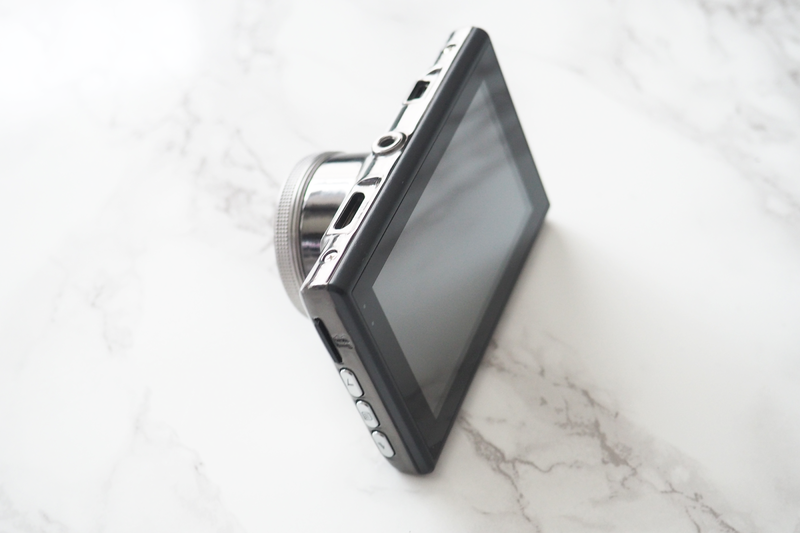 Dashcams have become more popular over recent years as they're a good way to document your car journeys should anything happen and you need to provide proof of what happened. Some insurance companies are actually starting to offer cheaper premiums if you have a dashcam as this evidence moves away from disputes when it's just one person's word against the other as to who was at fault. I'd been contemplating getting one of these for a while so when Didobuy contacted me to see if I would want to review one I was more than happy. The Tonbux HD Dashcam (£43.99)* looks and feels much more expensive that it actually is, without compromising on features. 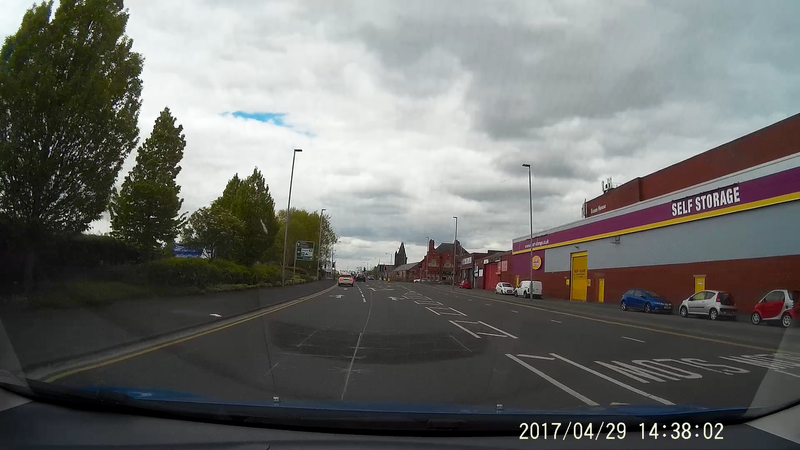 I really like the appearance of the camera with the sleek finish that I wouldn't have expected from a dashcam. 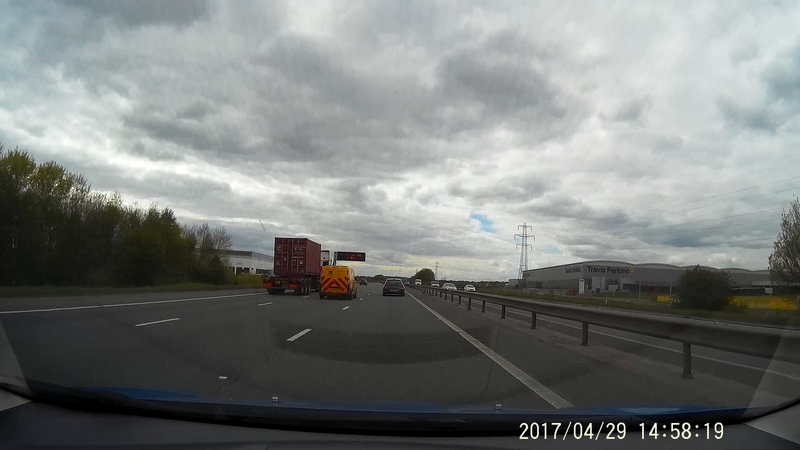 To record your footage you just have to pop in a micro SD card and off you go, however, this isn't included with the dashcam. I appreciate it is well priced but it would have been useful to have even a low storage memory card included so it was ready straight out the box. A mini HDMI port allows you to play your footage directly from the camera onto a TV. It can be charged up to use the built in battery but for longer journeys, you'll probably be best plugging it in via the 12v socket adapter, which also has a handy USB port in the back to allow you to still charge another device such as a phone or sat nav. You may even end up using this camera for recording other activities due to its compact design and decent sized screen. To attach to your windscreen there is a simple suction cup mount that screws into the top of the camera to create a stable hold with an adjustable ball and socket mount lets you make small adjustments to the angle you need the camera at. There are buttons on the side of the camera that let you work through the menus and options on the camera and are easy enough to use. 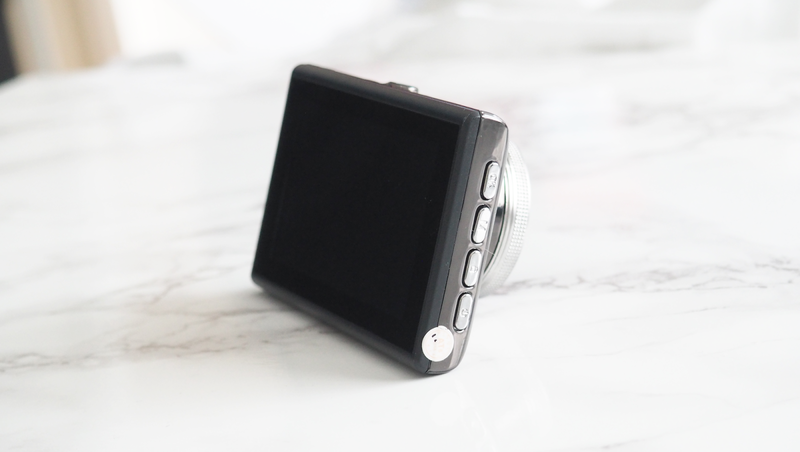 This means the screen is able to to take up most of the back of the camera making it easier to view the road and check the angle of the camera is where you need it to be. Being able to see what's in front of you is the whole point as a dashcam and with the Tonbux you get a 170-degree wide angle lens to capture as much as possible. Quite a few features are packed into this dashcam which can be altered in the menu. When the loop option is enabled it will automatically record over the oldest footage when storage is nearly full to ensure you can always capture what's right in front of you. A preserve function will protect your clips in case you were to delete a video by accident which I can see coming in useful as I sometimes do try items without thinking sometimes. 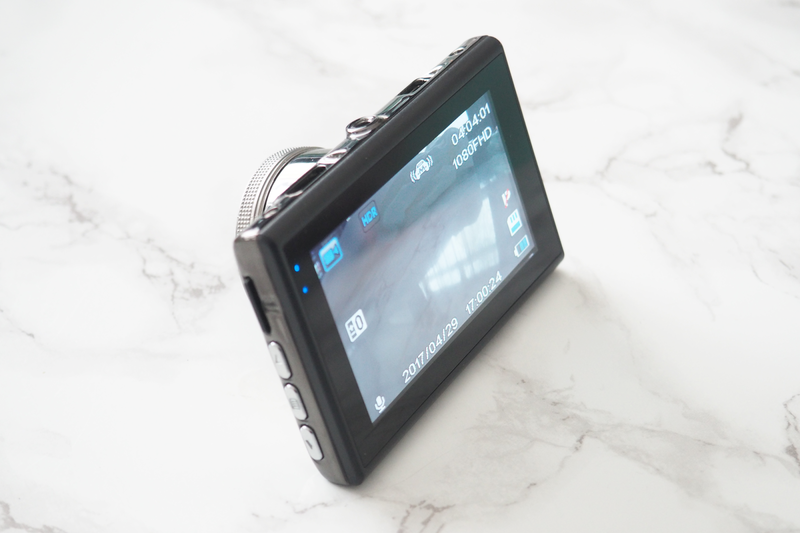 I was really impressed by the built-in adjustable G-Sensor that can feel any sudden stop or an impact and will automatically lock the current video to protect the evidence. Other features that can be configured include HDR, Exposure, Resolution and usability alterations such as whether you want to the screen to be constantly on or not. I found having this level of options really handy as I could tailor it to make sure I could capture the best video possible. I haven't driven at night with the camera, but I suspect it will adapt enough to still record well. 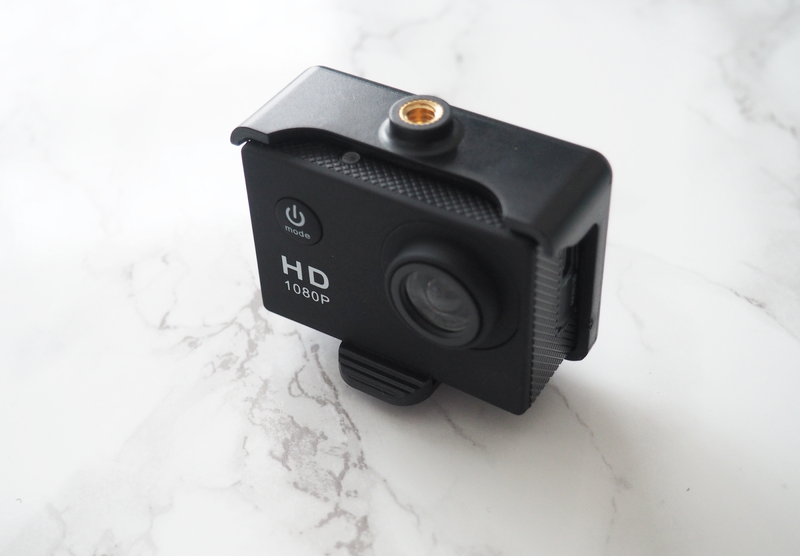 This Tonbux dashcam records in 1080p Full HD at 30 fps to make sure you get all the detail you need which could be vital if you had to use it as proof in the case of an accident. I was very impressed with the video quality output by the camera, particularly given how reasonable the price is. I've included a couple of screenshots above to demonstrate what it looks like. You can see that you're able to make out detail not just immediately in front of the car. I've watched back some of my test footage and you can make out number plates very clearly so there would be no doubt when needing to get the details of a car. I didn't want to include a photo of this for privacy reasons. Date and time stamping the video remind me of the old camcorder videos, but this feature is actually very useful when watching back clips to ensure you have exact details of when something happened. This will make reporting an incident that bit easier and I will be leaving this option turned on. 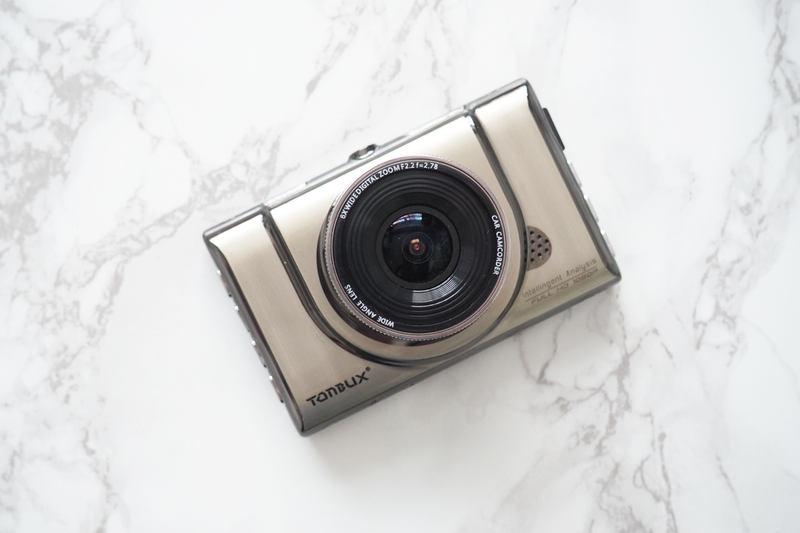 Overall, I think the Tonbux HD dashcam is a well priced and great little camera to record your journeys, with plenty of features to let you set it up how you would like. Bluetooth trackers have become the items getting attached to people's items that tend to go walkabouts a little too often. I'm not going to lie, I seem to misplace my personal belongings more than the average person. I can walk into the living room with my keys in hand and place them down, yet somehow manage to 'forget' where I've put them by the time I get up from the sofa five minutes later. I've also spent too long looking for said items, something that may now be a thing of the past. 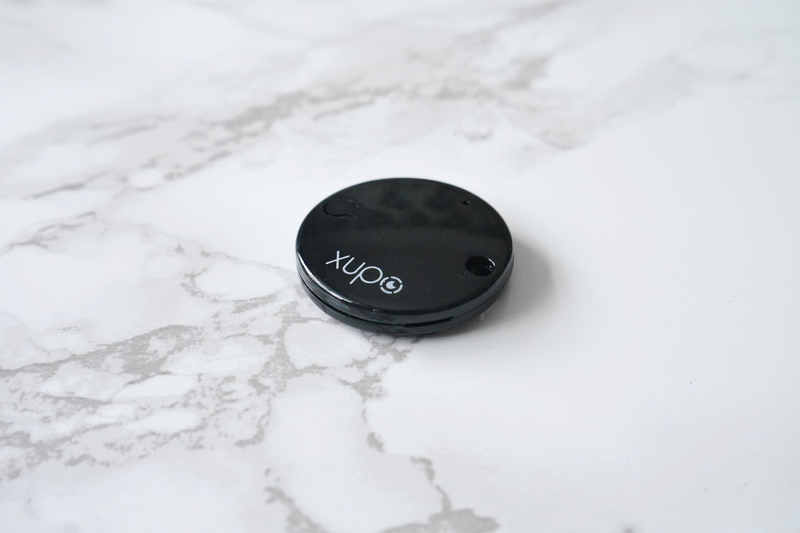 I love my gadgets and tech so was excited when I was asked if I'd like to review one of the Xupo Bluetooth trackers*. 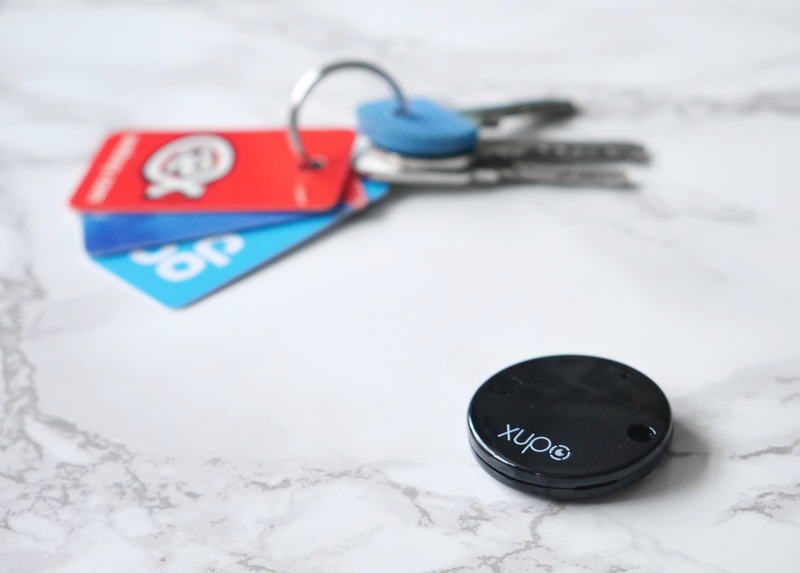 This little key saviour could be the way to stop me losing my items, all in a package not much larger than a two pound coin at 5mm thin, 35mm in diameter and only weighing in at 10 grams. The range of the tracker is around 50 metres, but I've found this will drop if using it indoors due to walls interfering with the signal but this seems to happen with almost every wireless device. Depending on how clumsy you are, you can get them in packs of one, three or five which range from £19.99 to £75.00. They have even set up a giveaway with the chance for you to win one of these little devices, see the bottom of the post. 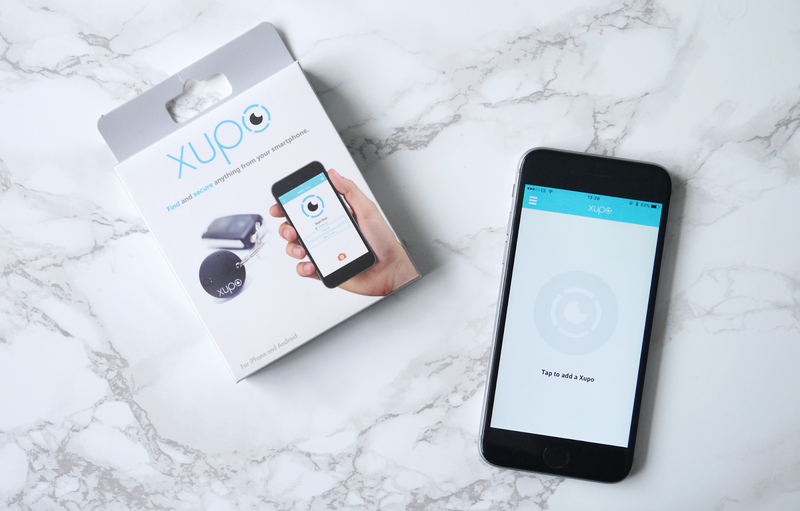 Xupo is a way to find, track and secure anything you want to. The battery will last you up to 12 months, depending how often you lose things. You might automatically think it's just a glorified key ring to be chained to your car key, but you'd be wrong. There is a free app which is used in combination with the tracker so that you will also be able know where your stuff is. 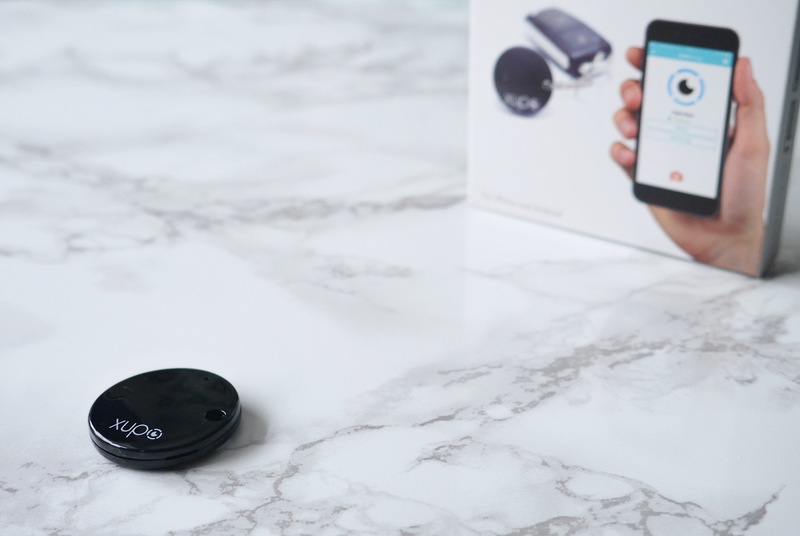 From the app you can ring your tracker to alert you to whatever it's attached to, so you'll always know which piece of furniture to look behind to find your keys. Scratch that. You can keep your Xupo with literally anything you think you might lose. Stick it in your wallet, backpack, glasses case or even on your phone charger or TV remote. Most trackers that I've come across are more of a one way tracking device. 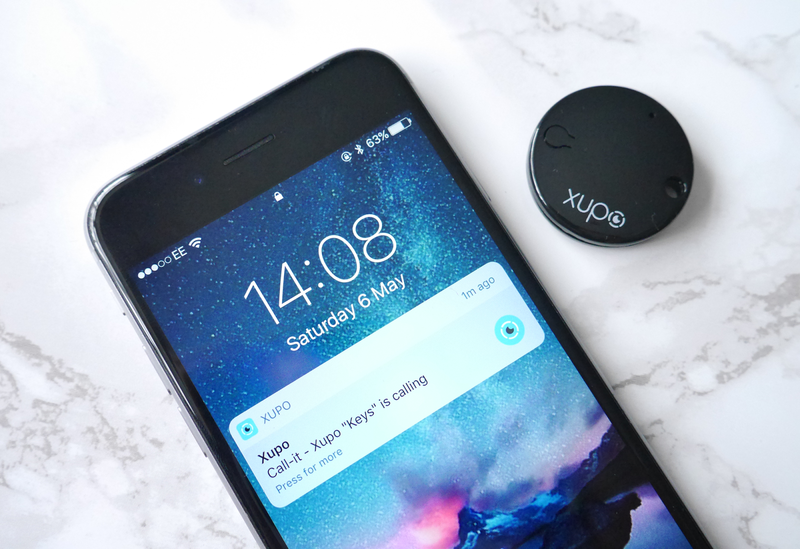 I was impressed by the fact that once I paired the Xupo with my phone, you can actually ring your phone from the device by the click of a button. This will certainly come in useful for those few times (more times that I like to admit) I misplace my phone. A map feature on the app is useful to track down your lost belongings even when they've gone out of range. This shows you the last saved location it was connected to your phone. The tracker itself doesn't actually have GPS so it won't be a perfect representation of where it might be, but it'll get you a lot closer than having no idea at all. 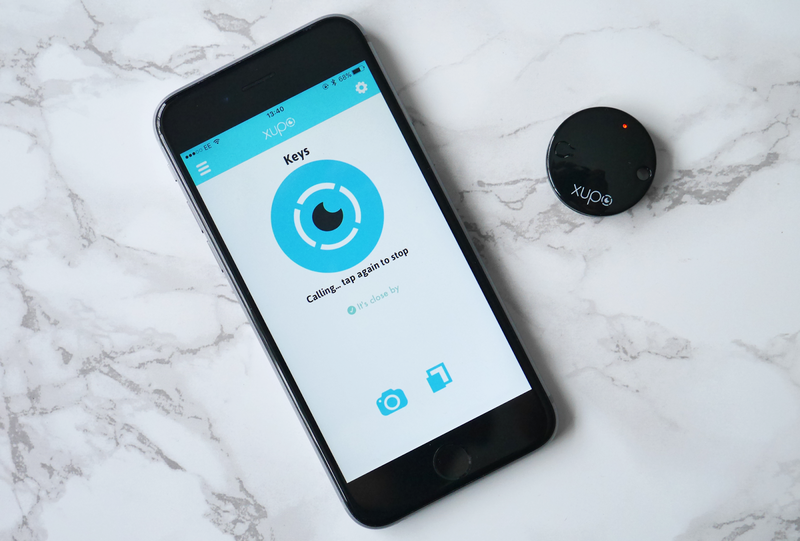 You can also use the device as a selfie remote when connected to your phone to provide an easy wireless way to get your best angle. The app is so easy to use and only requires a quick tap to get your reunited with whatever you have lost. At the moment it's only compatible if you have an iPhone but an Android release is in the pipeline. You can see in the middle photo of the three above that a small light comes on when you call, which could be handy if you were looking for something in the dark. The options for using the photo remote and map features are below the main call button so you have everything you need on this one screen. There is also a settings page which lets you name and colour code your tracker for the app, which would come in particularly useful if you had multiple ones for different items. Features can be turned on and off here depending what you want to use your tracker for, as well as checking on the battery level or un-pair it. When you do use the Xupo to call your phone, a notification will pop up along with the call tone as you can see below. 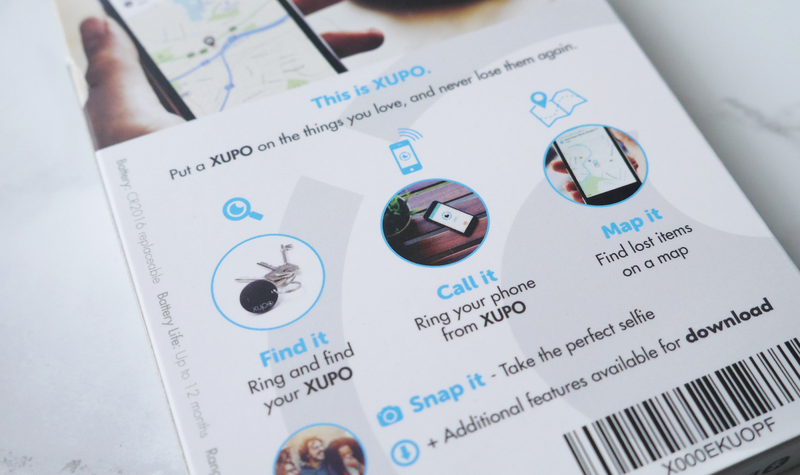 Here's your chance to win your very own Xupo or have one to give as a gift for someone who has a tendency to lose anything and everything. 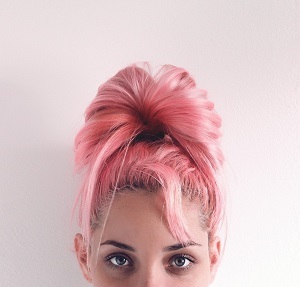 They would also be ideal if you travel a lot and will be more likely to misplace an item. There are a number of ways you can gain an entry, see below for all the details and the terms & conditions. *This is a PR Sample but all opinions are my own. Fitness trackers have been around for a while now and have come quite a long way since having a simple band that would attempt to count your steps. I remember seeing people put their tracker inside a shoe and shaking it rather excitedly to try and get their 'steps' count up. 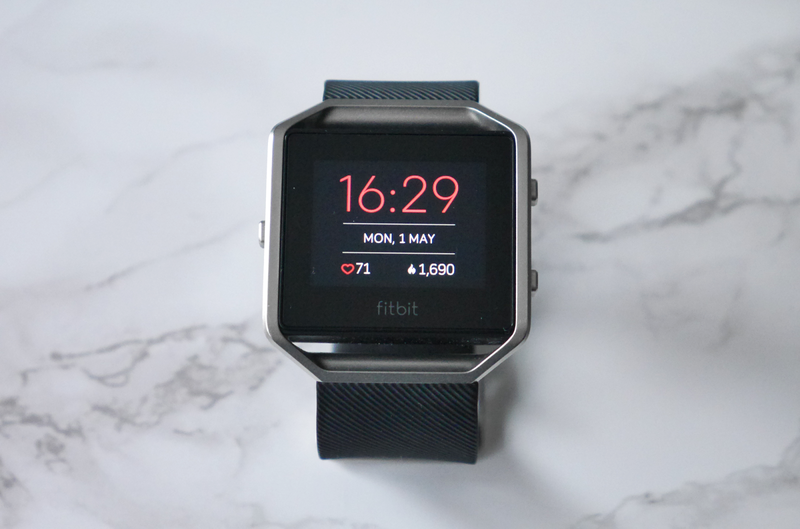 I've owned my Fitbit Blaze for around 6 months now and have loved wearing and using it. There are so many fitness trackers and bands out there it can be difficult to know which one to choose. For the features and price, I ended up deciding to get the Blaze, which I went for in the Gunmetal version which looked a bit sleeker. It was around £170, but depending on your strap option this can vary. One of the Blaze's features which aren't on all Fitbit's is the ability to track your heart rate. It has a sensor underneath which will always monitor your level and calculate your resting heart rate to compare it to. Having the ability to monitor your this without the need for an uncomfortable strap across your chest is a nice addition. There are three buttons on the side of the watch which are used with the various features while still being low profile so they don't stick out too much. I've found the battery lasts for around 4-5 days with notifications turned on, quick view turned off and wearing it at night to monitor your sleep. 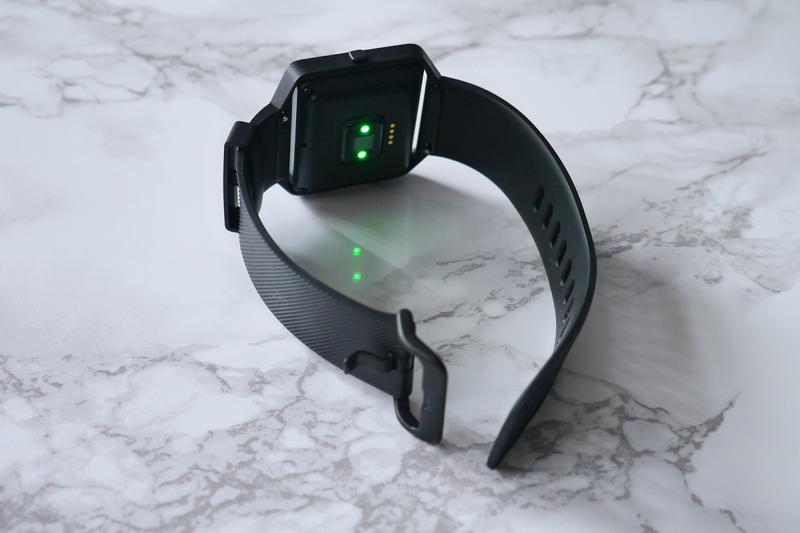 To charge, you simply pop out the watch from the strap and clip it into the Fitbit USB charger that is supplied. A number of different modes on the Blaze are each given their own screen on the watch to make it much easier to find what you're looking for. One of the key features that led to me getting the Blaze was the fact it had a decent sized screen that could show more than just the time or your heart rate at the same time. Being able to receive phone notifications and control your music was an added bonus too. There's a quick summary of each screen below. This is the main screen you'll have on display most of the time. It shows you a combination of the time, date, heart rate, steps, floors climbed, distance and calories burned. You can pick from a number of either analogue or digital views depending on your preference of which items you'd like to see. 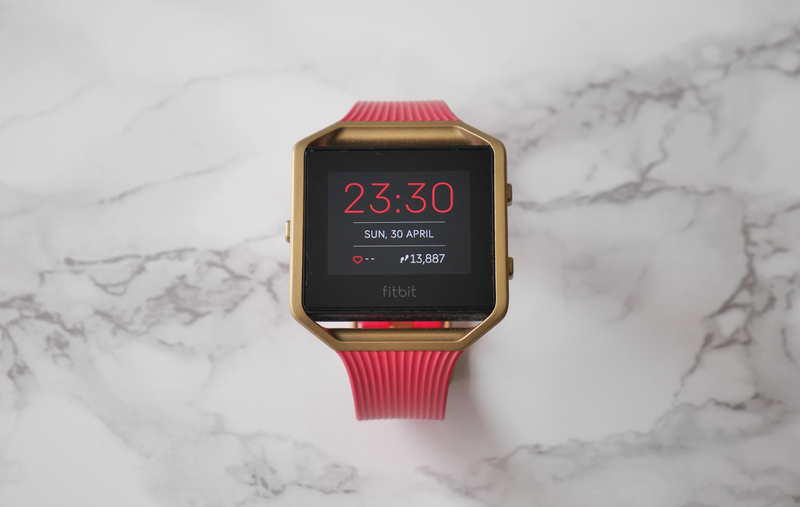 Fitbit also brings out new displays so you may find yourself switching it around. Some displays will show you more than others, so I flicked through them until I found one I was happy with. Swiping up on the home screen reveals your notifications such as texts, and swiping down lets your turn the notifications on or off and control your music. This gives you a detailed view of the current day's stats so you can easily view them all in one place by scrolling down the list. It also shows you how you're doing compared to your daily goal which means you can keep track with a quick glance. The heart rate will show your current HR and as well as the resting level below so you can quickly check if it's different to what might be normal. Within this screen, there are multiple options to choose from depending what activity you are doing. Run lets you choose to have run cues, use your phone's GPS to track your route and which secondary stat to display. Bike will also let you use your phone's GPS and secondary stat to make recording your activity more useful. The other options here are Weights, Treadmill, Elliptical and Workout. This is a newer Fitbit feature that gives you a different way to work out and links up with Fitbit's additional services. As part of this mode, you get personalised training with routines tailored to yourself. Guided coaching lets trainers share tips and demonstrations, while convenient workouts give preset sessions ready to complete. Lastly, it gives you tailored recommendations based on your activity to help you progress with your workouts. This is a fairly new mode that gives you personal guided breathing sessions. It lets you choose from 2 or 5-minute sessions and is designed to let you chill out. With fitness trackers, it may get you into the mindset of always being on the go so it could be helpful to have a feature that does help you take the time to relax. This one has two options which are pretty standard on any digital watch. You get a stopwatch and countdown timer which are easy to view and could come in useful, whether using it to help you train or keep track of how long your dinner has left in the oven. After a recent update, this feature has been improved as you can now create alarms on the watch instead of having to go through the phone app to do it. 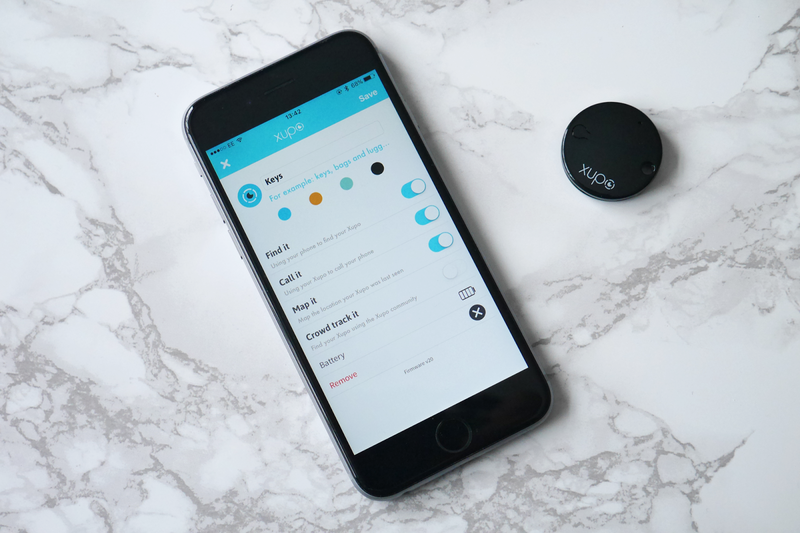 Choosing whether you want your alarm to repeat is now enabled and you can choose from every day, a combination of days in the week or just one day during the week for each alarm you set. One thing I would like to see is the ability to name your alarms as it could come in handy to prompt you about something. This contains the things you might need to alter such as whether you want Quick View enabled to automatically illuminate the screen when you turn the watch towards you rather than having to tap the screen or press a button on the side. Having this on or not will depend on your own preference and whether you want to make the battery last a little longer. Options for Bluetooth, brightness and heart rate are also kept here, as well as being the place to turn off your Fitbit. Fitness trackers were originally designed for one purpose and didn't always look 'fashionable'. This Fitbit is actually the small square gadget placed into a strap. What this means is you can completely change the look of your watch. My girlfriend Laura also owns the same Fitbit but has two different straps for them - the black & silver and pink ones above. You can see how they all compare yet could be worn with different outfits to change your look. There are even more straps, including a metal band which I like the look of, that would make for a more formal looking watch. I can definitely see myself buying other straps in the future so I have more options for how to style the watch. The two photos above show the two other straps with the watch attached to get an idea of how different they can look. You might notice the pink strap is a different size to the others. This is one of the more recent slim bands the give it more of a lower profile. This is also good for those with smaller wrists as the original straps are fairly wide. 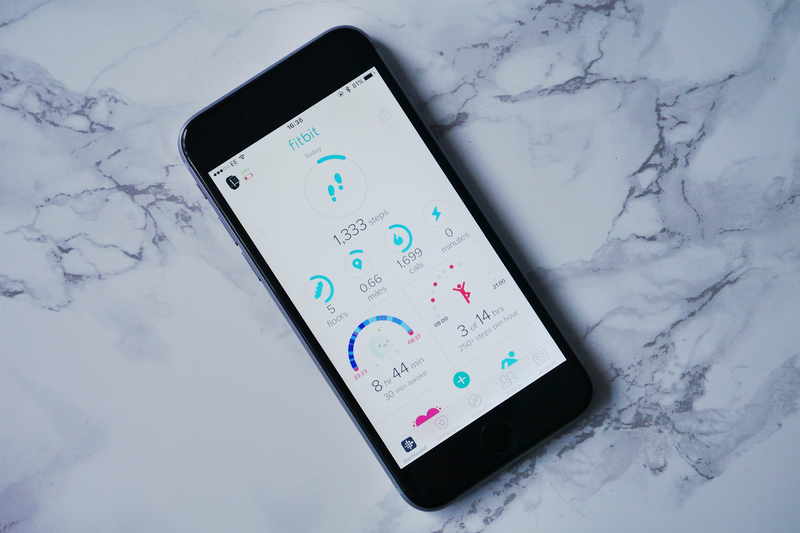 Fitbit has a mobile app where you can get a much more detailed view of your stats. It stores all of your data and graphs it to make it much easier to see how you are doing. You can edit the main dashboard to rearrange what you would like to see and click through to each one to see the past views. One of the features on the app that you can't actually view on the Fitbit is your sleep. It gives you a daily breakdown with a great graph showing the different stages of your sleep and calculates how long you were in each stage, awake for and total time asleep. I've found this really useful to help monitor how much sleep I'm actually getting. You can get a similar level of detail for all your other stats on the app so you can drill down into your levels. Other tabs on the app include challenges, guidance, friends and your account settings. Within the settings, you can set the goals that you'd like to achieve, such as your daily steps target to tailor it to what you are aiming for. I've found my Fitbit really useful and have enjoyed trying out the different features. Before I got it I did wonder how much difference having a fitness tracker on your wrist could actually make and whether it could help to inspire me to carry out more exercise. Even being able to see how many steps you have done so far did make me purposely go a bit further, such as parking further away and always taking the stairs rather than the lift. So you can use this as a daily tracker to make small changes each day while having some other great features to help with other exercises. 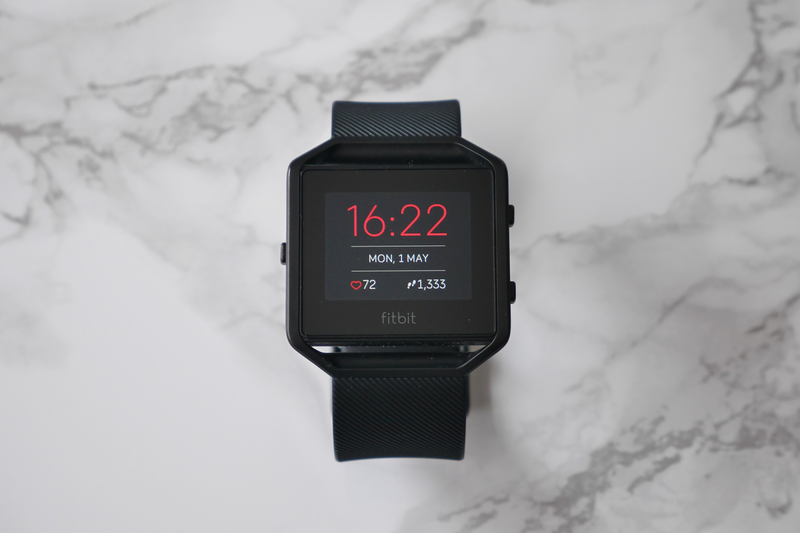 If you're thinking of getting some form of Fitness tracker and want something with added functionality that can actually look neat and fashionable, then I would definitely recommend the Fitbit Blaze.